Seahawks begin offseason program Monday — will Earl Thomas be there? 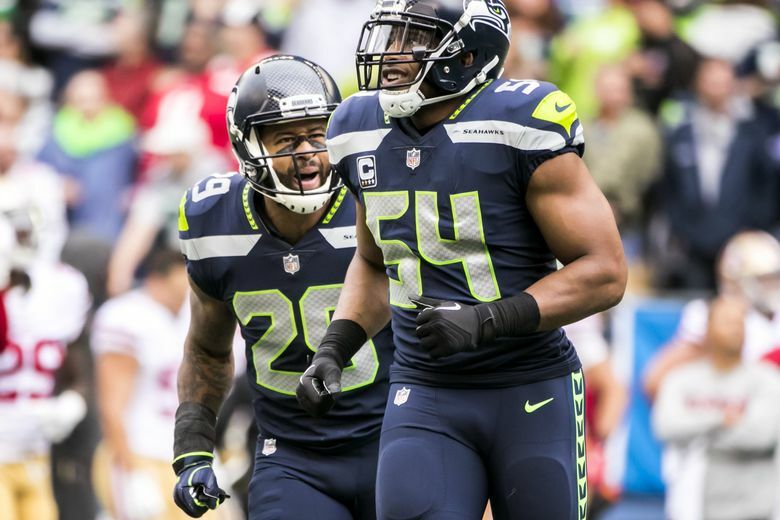 The Seahawks begin their official offseason program on Monday with the future of Thomas remaining the biggest lingering question hanging over the team. For the first time since the loss against Arizona last Dec. 31 that ended their 2017 season, the Seahawks will assemble as something of a full team Monday for the start of the official offseason program. The program is technically voluntary, but usually most everyone shows up for what is the first time coaches can officially talk to players since the end of the season. The big question for the Seahawks is whether free safety Earl Thomas will show up. Players ensnared in contract disputes or doubts about the future sometimes stay away from the program, or at least the beginning of it, to make something of a statement. Cornerback Richard Sherman stayed away the first week last year when trade rumors were running rampant. And Michael Bennett skipped the program most of the last three years, admitting in 2015 and 2016 he was doing so in part to make it clear he wanted a new contract, though he also seemed to just prefer working out at his home in Honolulu. The Seahawks have made it clear they are considering trading Thomas, and Thomas has also said he would consider holding out if he stays with the team and does not get a new contract prior to the 2018 season, all of which has his future in obvious doubt. So Thomas could well decide to stay away for a while, maybe at least through the draft April 26-28, when most assume his immediate future would likely be settled. It’s also worth remembering that the first two weeks of the offseason program, which is called Phase One, is limited to strength and conditioning and physical rehabilitation only. As such, veterans are often given some leeway for missing a few days here and there — Marshawn Lynch rarely showed up for any of it — as long as they were working out at home. And this year, Thomas appears to be any player who might miss any of it for “statement’’ reasons. The program takes on a little more formality the week after the draft, when Phase Two kicks in. That’s when the Seahawks can hold three weeks of on-field workouts that may include individual player instruction and drills as well as team practice conducted on a “separates” basis (meaning, offense only and defense only). No live contact or team offense vs. team defense drills are permitted. After that comes Phase Three, highlighted by 10 OTAs (Organized Team Activities) in which teams can hold 11-on-11 drills (though again, with no live contact). Per the NFL, Seattle will hold its Organized Team Activities on May 21-22, May 24, May 29-30, June 1, June 4-7. The offseason program concludes with mandatory minicamp from June 12-14, the only thing that is officially mandatory during the entire offseason.